April has been a fantastic month for Backline, with an array of successes to shout about. But we wanted to concentrate on two of our office-based staff this time. So, with that in mind, we’d like to introduce Greg and Dean! Greg joined the Backline family in mid-2017 as a consultant at our Avonmouth branch. A man with a fascinating background, Greg spent his formative years growing up in South Africa and France due to his parents’ work. He’s worked in the services business for much of his career, from chauffeuring high-net-worth individuals at an exclusive European hotel to managing pubs with his partner in the UK. Since he started with us, the performance of the Avonmouth branch has seen a notable uplift. Greg has also taken part in a number of internal training courses that we have held, in collaboration with Recruitment training specialists, Enabling Change. Given the success he has brought to the branch, the decision was made to offer Greg the Branch Manager position which, we’re pleased to announce, he accepted! 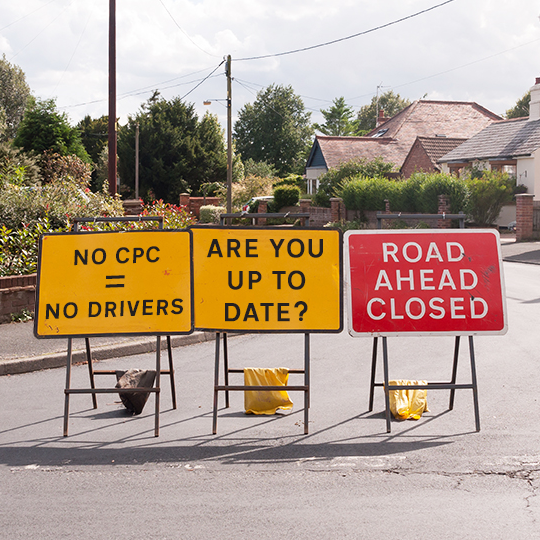 Having worked for Backline as a driver I have seen the challenges the consultants face when placing candidates into their suitable jobs. I’ve found a huge level of empathy is required and much consideration is taken into account when doing so. Avonmouth is in a very strategic location with numerous transport operations located here. This gives me a huge customer base to get stuck into and a great opportunity for some competition against our Plymouth and Exeter branches! Driver numbers and attracting the right drivers for the Backline business is certainly a challenge. Training newly passed HGV drivers and upskilling them to deal with the wide variety of work that Avonmouth and the surrounding areas has to offer, is going to be key. This is obviously in addition to treating people fairly and investing into their future which breeds loyalty, reliability and buy-in. I would very much like to achieve a significant year on year increase in branch performance, and of course elevate the branch to being a key player across the Backline network. I think increasing the industrial/skilled element in the branch will be a factor in achieving this. Whilst driving is our core focus, a lot of clients don’t realise that we are able to support them with a number of related roles also. Dean has been with Backline for a number of years. He first joined us as a Supervisor at our Outbase facility in Exeter. Through a number of branch openings, which brought operational challenges, he supported our Bridgwater branch for a time and is now the lead consultant on the Exeter driving desk. Having been around trucks for some years, Dean has always had an interest in driving. 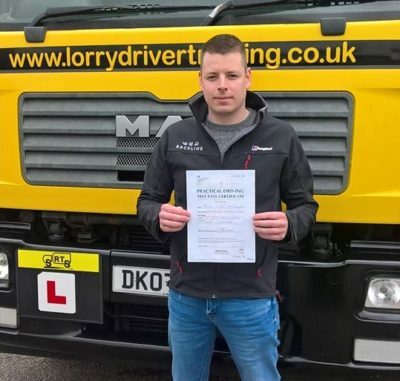 This year, we took the decision to upgrade his licence so that he could finally get stuck in and get some first-hand experience of what it’s like to be a trucker! With the youth that Dean enjoys, he was too young to obtain his C1 entitlement with his car test, so has previously been limited to vehicles with a maximum weight of 3.5 tonnes. Having made the relevant preparations (provisional licence, medical etc. ), we enrolled him on a week’s intensive training with Steve Robertson Training Services in Exeter. Whether or not his experience in the industry so far gave him an unfair advantage or not, we’ll never know! But he passed the test with flying colours – picking up only a single minor mark throughout the entire test. He’s already looking to build his experience, using any excuse to run errands for the company using our 18 tonne HIAB training vehicle. We know we buy tea and coffee in bulk, Dean, but it’s still a bit extreme!! A huge congratulations to both Greg and Dean – we’re genuinely chuffed for you both and look forward to working with you! Send us a message using the icon on the right hand side of your screen.